CarGurus has 10,461 nationwide A4 listings starting at $899. A comfy, well-endowed cabin, hefty mileage numbers from the turbocharged 4-cylinder powerplant, available all-wheel drive and sweet handling keep the value-heavy 2012 Audi A4 near the top of its class. 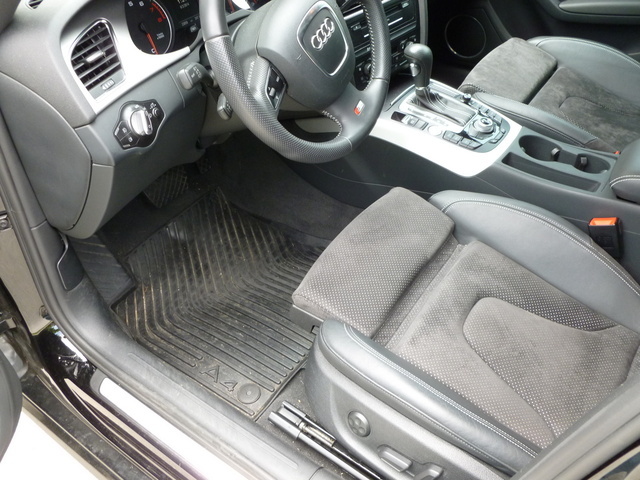 A small trunk, miserly cabin storage, less power than most in its class and a somewhat disappointing dash and control layout won’t endear the midsize 2012 A4 sedan to those in the market for a true Euro-luxury car. Loaded with value and goodies, the 2012 Audi A4 lineup nonetheless suffers from a lack of available 6-cylinder power and refinement. Despite this, as well as some curiously scatter-shot control placement, this midsize sedan is well worth a tire kick or two. Handling is top-notch, overall cabin build quality beyond reproach and the turbocharged four-banger will hold its own, albeit with a tad less punch and sophistication than higher-priced Euro machines. For performance, handling and affordable entry-level luxury, few rivals can counter the 2012 Audi A4. This 5-passenger sedan remains basically unchanged from 2011, with only a few tweaks to standard techno-features and some minor upgrades to some of the options packages. Again, the A4 is available in three trims, the base 2.0T Premium, the midlevel 2.0T Premium Plus and the flagship 2.0T Prestige. All come with standard front-wheel drive (FWD), though each is offered in available all-wheel-drive (AWD) Quattro editions. A smallish trunk (12.4 cubic feet) and a decided lack of interior storage space once again plague this classy sedan’s lineup, but its cabin is nonetheless regarded almost universally as one of the better-wrought in its class, with an abundance of high-end materials and decidedly German attention to detail. The standard (and only) engine powering the A4 lineup is a competent turbocharged inline 4-cylinder that’s peppy if not neck-snapping, but presents class-leading fuel economy. Three transmission choices also grace this snazzy family auto, with a continuously variable transmission (CVT) once more standard in FWD trims and either the standard 6-speed stick shift or the available Tiptronic 8-speed automatic managing the Quattro trims. Of course, the traditional heady handling characteristics are on display, as well as an available Sport Package for the Premium Plus and Prestige versions that features a sport-tuned suspension and steering-wheel-mounted paddle shifters, not to mention sport front seats and steering wheel. The optional S Line Package also boasts the sport-tuned suspension, as well as 19-inch alloy wheels and performance tires that will torch even the most demanding back-country roads. Don’t, however, get the impression that ride comfort is sacrificed. 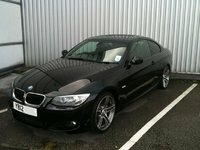 In fact, some that have driven this entry-level luxury sedan complain that its ride is a tad too plush. The usual suspects, including the BMW 3 Series, the Mercedes-Benz C-Class and the Infiniti G sedan, all challenge Audi’s spiffy commuter car, and each offers its share of refinement, value, power, handling and luxury. The Beemer, for instance, is credited with a more exhilarating drive, while the C-Class oozes luxury and over-the-top build quality. None, however, can match the A4 in combining all those attributes in one value-heavy package with a supple, yet steady ride, though the Infiniti, with its impressive V6 powerplant, offers a shade more power for significantly less money. 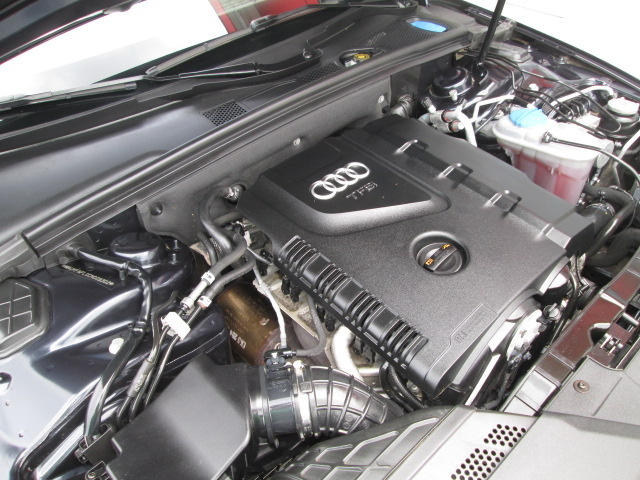 Standard across the 2012 A4 lineup is a 2.0-liter turbocharged inline 4-cylinder powerplant that mates with the standard Multitronic CVT and FrontTrak in FWD trims for 211 hp at 4,300 rpm and 258 lb-ft of torque at 1,500 rpm. All Quattro trims, meantime, are delivered with a standard 6-speed manual transmission and are also eligible for the Tiptronic shiftable 8-speed automatic transmission. Expect mileage to be 22 mpg city/30 highway with the Multitronic CVT, 21/31 with the 6-speed stick and 21/29 with the 8-speed automatic. A4 Quattro trims offer a self-locking mechanical limited-slip center differential and auto-locking front and rear differential for full-time power to all four wheels. Though many reviewers claim better-than-adequate power from the turbocharged I4, most note a decided lapse in refinement compared to the six-bangers that grace most of the competition. Reviewers also seem a bit underwhelmed by the shiftable 8-speed automatic available to the A4 Quattro trims, citing a hesitancy to downshift when power is needed for merging and passing. Both the CVT and the 6-speed stick-shift, meanwhile, are noted in most reviews as smooth and dependable. Audi claims a 0-60 time in the 6.5-second range, with the manual transmission delivering 6.5 seconds on the nose, the 8-speed Tiptronic automatic touting 6.3 seconds and the CVT poking along at 7.2 seconds. There are reviewers and drivers who claim the 2012 A4 lineup has lost its handling edge in favor of an overly cushy ride. The 17-inch alloy wheels found on the Premier trim, for example, are described by a majority of reviewers as pure posh, with no significant jarring or jumping, no matter the surface. The standard 18-inch alloy wheels found on the Premium Plus and Prestige trims (and optional on the Premier) are, however, noted by reviewers to be not as forgiving of road imperfections, and the available 19-inch alloys are even less genteel. A four-wheel independent suspension with multi-link front and rear systems is bolstered by a front and rear stabilizer bar, and this combo offers not only some pretty decent ride comfort but retains enough handling abilities to satisfy all but the most demanding commuter. Steering is claimed by the majority of reviewers to be well-balanced and true, with a sporty touch on winding roads complemented by some deft maneuvering capabilities on crowded downtown streets. The available Audi Drive Select Package, meanwhile, lets drivers select one of four modes, Comfort, Auto, Dynamic or Individual, that will adjust ride suppleness, steering heft and transmission responsiveness, with the Individual mode resulting in a customizable combination of all three. Alas, some reviews pan Drive Select as an expensive add-on with little redeeming value. Fear not, though, the available Sport Package (Premium Plus and Prestige only) includes a sport-tuned suspension that, according to reviewers, amps up the fun factor significantly without all the button pushing. Though offered as the base trim of the lineup, the 2012 A4 Premier nonetheless offers a boatload of standard goodies. Beginning with a power glass sunroof, heated power-adjustable outside mirrors, leather upholstery, a leather steering wheel and alloy accents gracing the doors, dash and console, this well-endowed sedan also offers a folding rear armrest and 8-way power-adjustable seats with driver’s-side power lumbar support. Then there are such convenience amenities as remote power door locks, power windows, cruise control and telescoping tilt-wheel steering with mounted audio controls. Comfort, meantime, is seen to with auto climate control and Sun Sensor intuitive lighting and climate control adjustment. Tunes are presented via a 180-watt audio system with an MP3-capable single-CD player and 10 speakers, including a subwoofer, and it’s all complemented by Sirius XM satellite radio. The midlevel Premium Plus adds heated front seats, tri-zone climate control for driver, front passenger and rear passengers, driver's memory settings, a universal remote garage door opener, iPod/iPhone-integrated audio and Bluetooth hands-free technology. The top of the food chain, the Prestige, meanwhile, comes with even more standard doodads, like MMI (Multi-Media Interface) Navigation Plus with navigation/audio/communications integration, DVD compatibility, rear parking sensors and a rear-view camera, all displayed in living color on a slick 7-inch LED in-dash screen. Then there's the standard 505 watts of audio power through 14 Bang and Olufson premium speakers, as well as the Audi Advanced Key system with remote keyless entry and keyless ignition. Of course, lower trims are eligible for a number of the standard features found on higher trims in addition to such niceties as a rear spoiler, upgraded 18- and 19-inch wheels and genuine wood cabin inserts. The Style Package is open to the Premium trim and boasts a number of aesthetic upgrades, while the Premier Plus and Prestige can each be delivered with the turn-busting Sport Package, as well as the S Line package. Finally, the Prestige is in line for the available Audi Drive Select system with driver-selectable suspension, steering and drivetrain modes, as well as radar-controlled adaptive cruise control. Nearly all reviewers rate the A4’s cabin as among the best in class. However, a few misplaced controls, a dearth of cabin storage space and some frustration with juggling the MMI’s audio and navigation functions tend to lower this otherwise comfortable conveyance in the eyes of some. The rear seats, though acceptable in the minds of some sub-6-footers among reviewers, will be a challenge for those any taller. Seats, in the opinion of virtually all reviewers, are firm and comfortable, more than adequate for the long haul. In its capacity as a family-oriented daily commuter, the 2012 A4 lineup boasts a plethora of safety features. Four-wheel antilock brakes with electronic brakeforce distribution and emergency braking assist, as well as traction and stability control, are of course all standard. Front and rear head airbags, front active headrests and dual front side-mounted airbags also contribute to occupant safety. It is, however, in the safety details that this suave sedan excels, with daytime running lights, front fog/driving lights, dusk-sensing headlights, turn-signal-integrated mirrors and pre- and post-collision safety systems. Self-leveling xenon high-intensity-discharge (HID) headlights, LED daytime running lights and the Audi Side Assist blind-spot alert system, all come standard on the Prestige, with the HID headlights and LED running lights optional on the lower trims. Finally, all three trims are eligible for available rear side-mounted airbags. As a recipient of a Top Safety Pick in 2011 from the Insurance Institute for Highway Safety (IIHS), the mirror-image 2012 A4 lineup once again garners scores of Good in frontal offset, side impact and roof strength tests. The National Highway Traffic Safety Administration, on the other hand, with its more stringent standards, gives this entry-level luxury sedan 4 stars overall, with a 4-star ranking in frontal crash tests and rollover safety, and 5 stars in side-impact testing. Though generally pleased with the mileage they get from the 2011 and 2012 A4’s turbocharged inline 4, owners are not so happy with its sometimes lackadaisical acceleration. Many cite both the CVT and 8-speed Tiptronic automatic transmissions as occasionally hesitant from a stop, while others just plain have a need for more speed. A number of owners additionally complain about some disappointing build quality and the fact that the I4 seems to burn an excessive amount of oil. Poorly placed armrests, especially on the driver’s side, as well as a somewhat cramped rear seat and a few curiously misplaced controls and instruments also leave a number of owners a bit disappointed with the A4’s otherwise well-wrought cabin. Sharp looks, superb handling, a well-appointed cabin and the cornucopia of standard amenities and safety features, on the other hand, all keep most owners of this suave sedan more than satisfied. A number of owners also dispute disparagement of the turbocharged I4, claiming more-than-adequate jump off the line and hassle-free passing and merging on the highway. 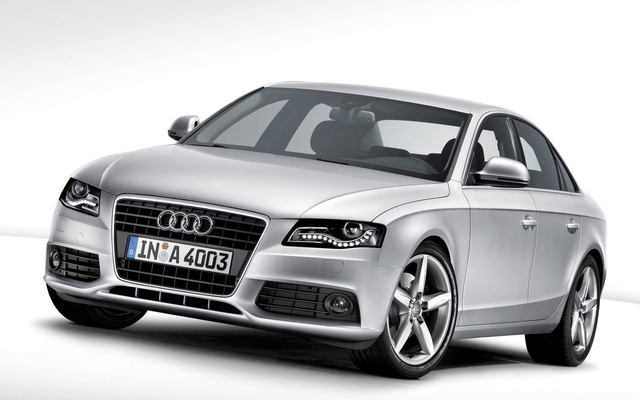 What's your take on the 2012 Audi A4? Have you driven a 2012 Audi A4? Does anyone know where the camshaft position sensor is located on a 2012 Audi A4?